Description: Does he dream of an NFL career someday? 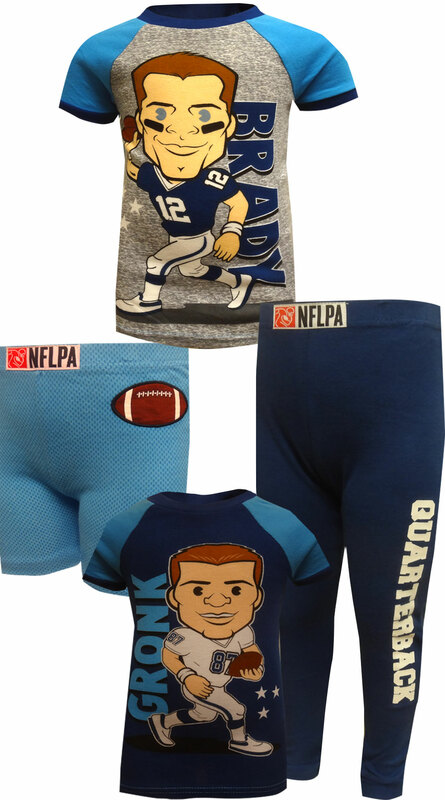 Perfect for all young New England Patriots fans, these cotton pajamas for toddler boys feature New England Patriots stars Tom Brady and Rob Gronkowski. These pajamas are designed to be snug fitting for safety compliance.